The potatoes cook nice and soft with a mouth watering flavour. 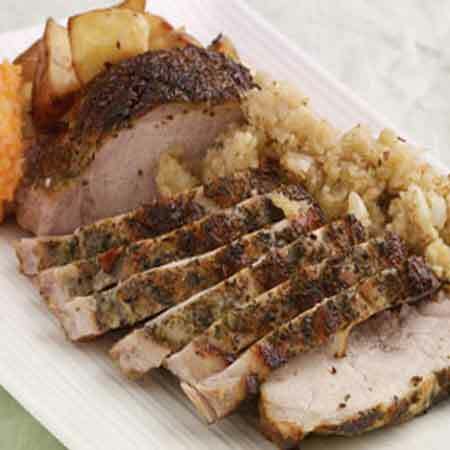 Put pork in a roasting tin and evenly spread the sliced cooking apple over the top of the pork. Pour the cider over the pork at this stage also. Cook at 150 degrees for 2 hours and marinate at regular intervals. After 2 hours add the potatoes and cook for 1 hour turning once or twice throughout. Apples should have marinated in the cider by now to create a nice sweet and sour flavour. Once cooked, remove both the pork and the potatoes and serve with vegetables of your choice. Its a family favourite of mine.